Enjoy a delicious slice of our Heirloom Margherita Pizza at dinnertime! 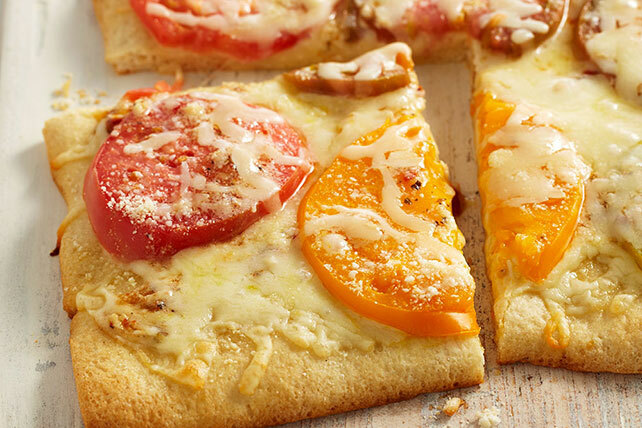 Using refrigerated pizza crust makes Margherita pizza a quick weeknight dish. Bake 8 min. or until mozzarella is melted and crust is golden brown. Prepare as directed, substituting a 14-inch pizza pan for the baking sheet. Pat pizza dough into 14-inch circle, then top and bake as directed.